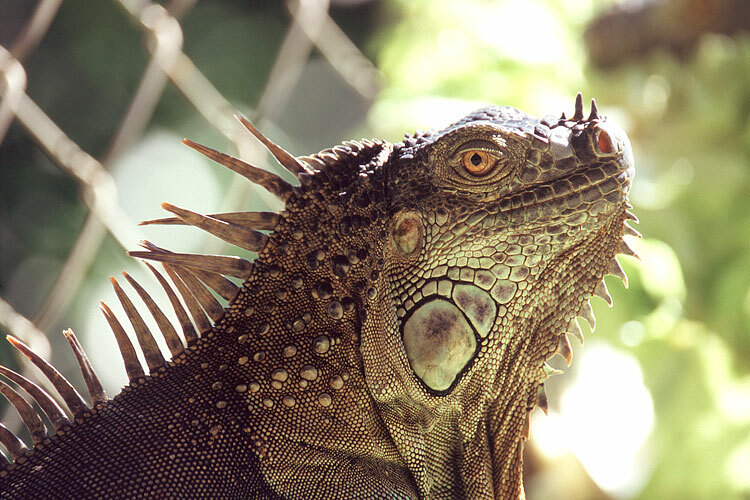 The best way to describe an Iguana is "little dragon". Fortunately they are very friendly. It seems that the larger the iguana, the easier it is to approach them.